J.T. Realmuto should be a priority for the Dodgers … right? J.T. Realmuto is a really good catcher and has been rumored to the Dodgers all offseason. It makes sense, especially after Yasmani Grandal signed with Milwaukee. This piece is only partly about him because you guys know the deal. He’s good. 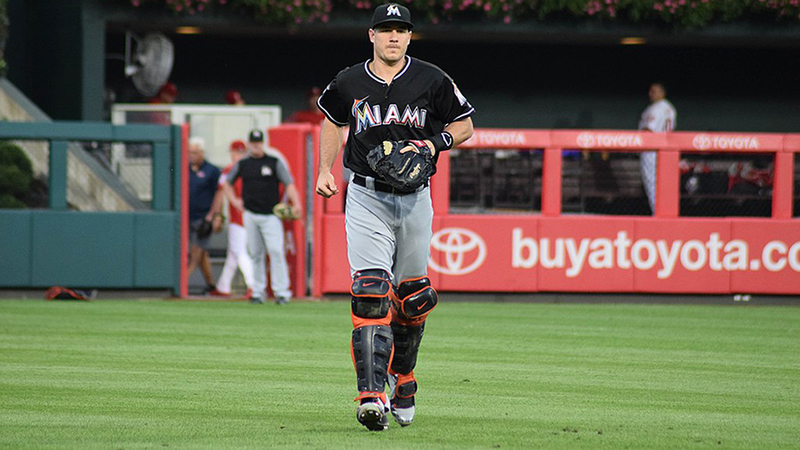 His average sprint speed of 28.6 feet per second leads all catchers, as does his home to first time of 4.26 seconds. For reference, only two Dodgers record faster sprint speeds than Realmuto — Cody Bellinger (28.9) and Chris Taylor (28.7). He’s easily the most athletic catcher in the league. Lorenzo Cain had the same sprint speed at 28.6 fps. Right behind Yelich at 28.7, and ahead of Francisco Lindor (28.4), and Mookie Betts (28.1). His average Pop Time of 1.90 seconds led all catchers. His average arm strength (velocity of throws) of 87.8 MPH was second only to Jorge Alfaro. Essentially he limits base runners better than anyone else. He’s really good at pretty much everything. However, framing is really important to the Dodgers, and it’s really the one area where Realmuto isn’t top notch. He’s bad by Baseball Prospectus (0.4 adjusted framing runs above average) and Stat Corner (-15.2 FRAA). For context, Grandal was 17.7 and 13.8, respectively. It’s interesting Realmuto grades out much, much better at BP than at Stat Corner. But even if the Dodgers were to acquire Realmuto, their framing wouldn’t go completely to hell. Austin Barnes and Russell Martin are Top-15 framers in the league. And the prospects on the farm are really good framers, starting with the guy closest to the majors: Will Smith. He’s well above-average and could end up being in the elite tier. Keibert Ruiz is at least average and could still improve. 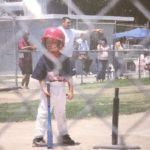 Speaking of the prospects, let’s look at them briefly and see why the Dodgers should or shouldn’t go after Realmuto. Smith was downright bad in a small sample size in Oklahoma City, but the organization is high on him and he could be the reason the Dodgers opt not to go after Realmuto. Ruiz is, arguably, the best catching prospect in the game. He’s a legitimate Top 30 prospect (globally) and has a higher offensive upside than Smith. But if the Dodgers were to get Realmuto, Ruiz might have to be involved. Having said that, Ruiz could be ready by this time next year, so maybe holding onto him would be for the best. I’ve heard it mentioned that the Dodgers have two great catching prospects in the minors. This is a fact. Ruiz and Smith both have shot up prospect lists and depending on where you look they’ll range from 20-80 in a Top 100. The Dodgers are also a team that have been successful … they just haven’t been able to finish the job. The players need to perform, but the idea behind the ownership and the front office is that they should do all things possible to give this team the absolute best chance to win while their Championship contention window is wide open. The Dodgers have made it to back to back World Series. They’ve won the NL West six years straight. Right now, they have their young stars — Corey Seager, Bellinger, Walker Buehler and even Julio Urias — while they’re all still affordable. At the same time, they have Clayton Kershaw, Justin Turner, Kenley Jansen and Rich Hill under contract as the extremely talented group of “vets”. In between are Max Muncy, Taylor, and Enrique Hernandez. They’re all older than the “young core” but with years in which they broke out, and they all still have years left of affordable control. This team is ready to go. They have the right veterans and experienced younger talent. This is the reason that this offseason seems like it should’ve been Bryce Harper or bust. It’s Feb. 1 and Manny Machado and Harper still haven’t signed. That’s it’s own issue but I’m just mentioning that even if it looks unlikely, Harper still is a possibility. The Dodgers, under Friedman, haven’t had a poor framing catcher. Ever. Before trading for Grandal in December 2014, they made an offer on former-and-present Dodger catcher Martin. From 2015 through last year, it’s been some combination of Grandal and Barnes. In the 2014 season, prior to Friedman taking over, the Dodgers catchers collectively were worth -0.9 fWAR. That group was comprised of mostly Drew Butera and A.J. Ellis, with some appearances going to Miguel Olivo and Tim Federowicz. Yikes. Essentially the message here is that this team has the best mix of talented vets and controllable young players that all combine to make an elite baseball team. Smith and Ruiz are those types, but Realmuto is a known commodity. He’s the best all-around catcher in baseball and, with the Dodgers’ lackluster offseason so far, his acquisition could go a long way to giving it a bit of a boost.If they could get away with landing Realmuto without including Alex Verdugo or Ruiz, then they should absolutely consider it. Unfortunately, that doesn’t seem likely, so the Dodgers have to decide who they value more: the youngsters or the massive offensive upgrade at catcher. The Dodgers have enjoyed a big advantage over the last few years behind the plate — both offensively and defensively. Now, that offensive advantage is gone (while the defensive one remains). If they bring in Realmuto, that could change. But it could also change the future plans.